This tax is correlated to the value of the property that you own and has no connection to how much you drive. This will increase the tax on people with non-farm property. The more property you have, the more you would pay. This is not a regressive tax. 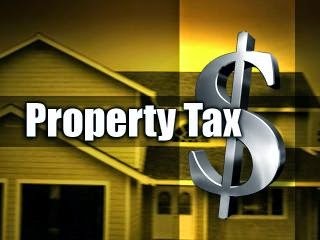 Property taxes are currently used to pay for many things, including roads. It could be used to cover the fuel tax. Property taxes are already in place. This would just add to how much is collected. No new system is needed to make payments or collect funds. No additional personal information would be collected. If you own property here, you will pay, regardless of where you travel. This would not collect money from people that travel here. Adding it up with our scoring system, this solution of increasing property taxes only scores 380 points. This is less than the 520 points that increasing the gas tax scored. In part 1, we established that our transportation infrastructure is in poor shape and desperately needs funds and we determined what criteria would be used to measure the success of any new funding scheme. "The people on the ground understand there is no viable alternative to fund America's infrastructure needs. A gas tax increase is the only solution that is dedicated, sustainable for the long term, and big enough to do the job. ‪#‎FixTheTrustFund‬"
Increasing the gas tax would decrease gasoline use thereby reducing all the political, military, and environmental problems associated using gasoline. Additionally, no new mechanism is needed to collect these funds. This would be able to fund our roads for at least the next 20 years. However, is it fair that EV drivers don't have to pay for roads at all? You could (and many EV drivers do) argue that EVs more that make up for this by not polluting the air or requiring the military to guard the Strait of Hormuz. But, your local DOT is only worried about fixing potholes and making sure the local bridges don't collapse. The externalities related to gasoline use are very important, but let's put them aside right now and focus only on transportation infrastructure funding. Since heavier vehicles generally use more fuel and cause more road wear, there is some level of correlation. However, a gas tax increase does not cover alt-fuel vehicles. Electric cars, veggie oil, CNG, compressed air, or any other alt-fuel that can be dreamt up would sidestep a gas tax increase. These alt-fuel cars cause just as much wear as similar weight gas cars. The fact that some fuel types get a free ride here greatly reduces this solutions score in this area. A gas tax increase could be significantly regressive. Nearly all of us need to drive, whether it's for work, shopping, or errands. Increasing the gas tax would increase the tax burden more on the working poor. Increasing the gas tax certainly could fund the roads. Any new tax should include automatic periodic inflation adjustment. Paying at the pump is simple; no forms, no bills, they even take credit cards. Paying at the pump does not ask you where you were or what road you were on. You can even pay in cash and it is completely anonymous. When you drive to another state and you are buy gas somewhere else, you would not be paying Oregon road taxes. Tallying it up, Increasing The Gas Tax scored 520 out of a possible 700 in our system. 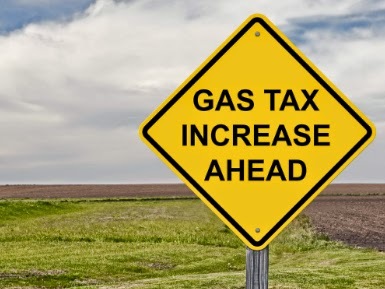 Increasing the gas tax is a simple solution with no additional overhead costs. And since gas will dominate our transportation system for at least the next decade, it will meet the funding needs. Additionally, this can be done with no invasion of privacy. There are only two drawbacks to increasing the gas tax. one it is a regressive tax and, two, it does not tax EVs or other alt-fuels. Construction of bridges and roadways, maintenance of bridges and roadways: paying for our transportation infrastructure is not cheap. Transportation infrastructure is deteriorating nationwide. States are finding it difficult to maintain their roads and bridges and to fund new construction projects. One of the primary sources of funding for infrastructure is a gas tax. This source, however, is drying up. A one-two punch has hit the gas tax. One, cars are being driven fewer miles. Oregon, for example hit peak driving in 2004. Each year since then has seen fewer miles on the state's roads. Millennials just don't drive as much as previous generations. They are digital natives and are happy to work at the corner coffee shop rather than an office 20 miles from their home. The second punch is that vehicles are becoming more fuel efficient. Hybrid and plug-in vehicles are steadily increasing the MPG rating of new cars. Even with the reduction in miles driven, many of the road maintenance costs continue. So how should we fund our roads? Constructing a solution to meet all of these goals will not simple. What do you think of these are the success criteria? People often disagree about things because they have different goals. If we have agreement on the goals, we're more likely to have agreement on the solution(s). You might have noticed that there is no item in the above list for air pollution or CO2. These are important, but this is an issue for road funding. If the externalities of fossil fuel use is to be addressed (and I think they should), that would be independent from road funds. So something such as a carbon tax is outside of the scope of the road funding discussion. In the next few posts let's look at a few proposed solutions and see how they rate against these criteria.